It’s a weakness of mine, it’s true. This is the first post on Millys Mini Kitchen with a DDL theme, but it’s frequently found in my kitchen. 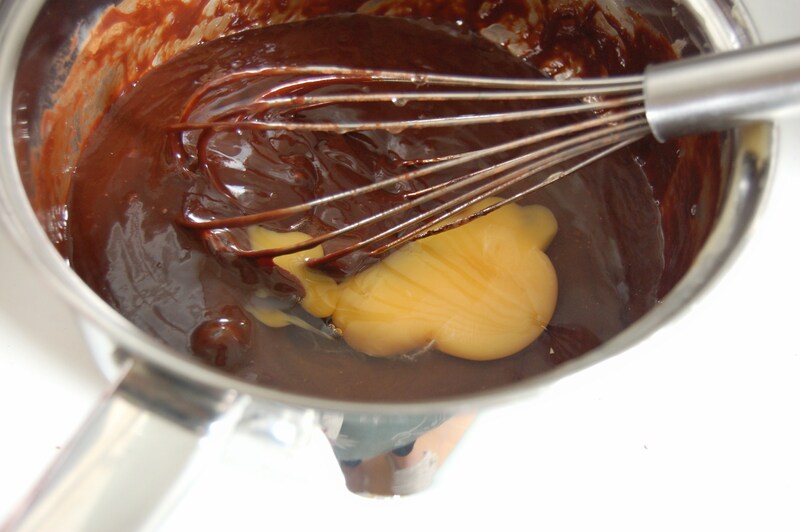 I love to pop it into baking- such as brownies or cupcakes, or use it as a filling or topping to something. But do you know what’s even better? Eating it by itself, with a spoon. Bliss. It’s my guilty pleasure… I’m sure others have worse. So, I’m sure you’ve heard of dulce de leche. But if you haven’t, well boy are you in for a treat! I swear that once you try it, you’ll be a DDL fanatic like the rest of us. 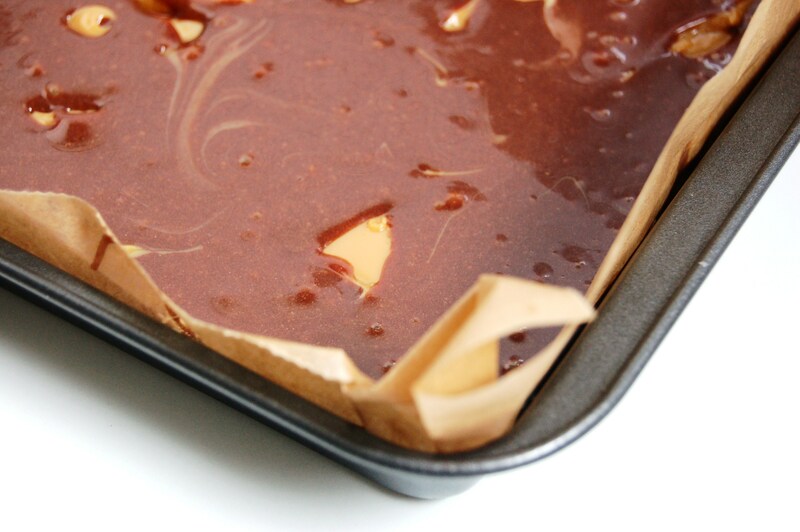 Before I get onto the recipe, let me tell you how to make dulce de leche. 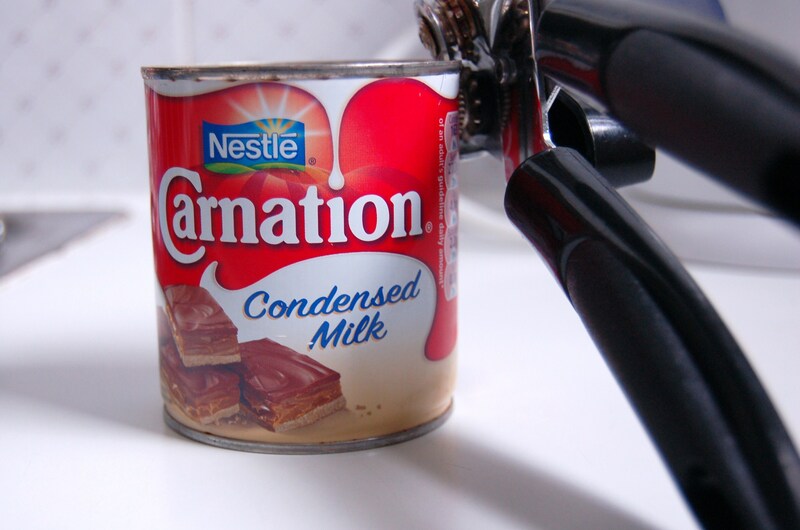 Firstly, you must buy sweetened condensed milk. There’s a few different ways to cook what’s inside the tin, and what I do is often considered a bit risky, but personally I find it the easiest. 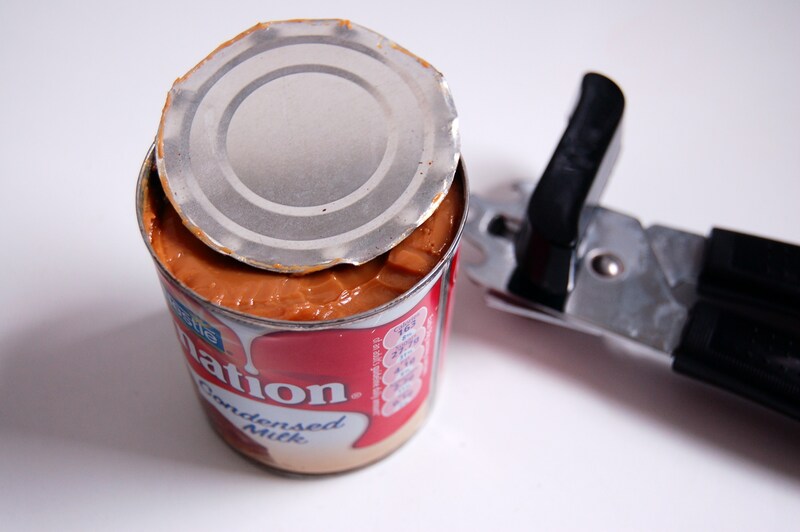 Put the can into a large saucepan and completely cover with hot water. 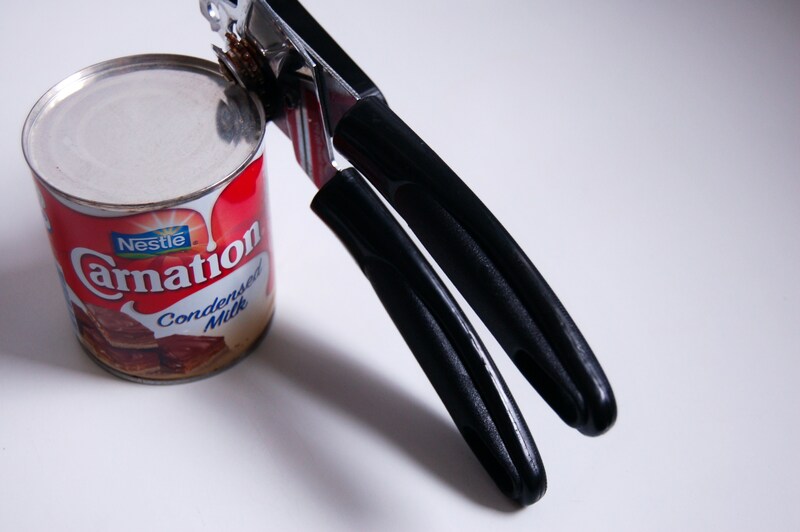 Make sure the can is completely covered or it may explode. Bring to the boil and leave for 3 hours. I check on it every 20-30 minutes as the water evaporates and needs filling up. 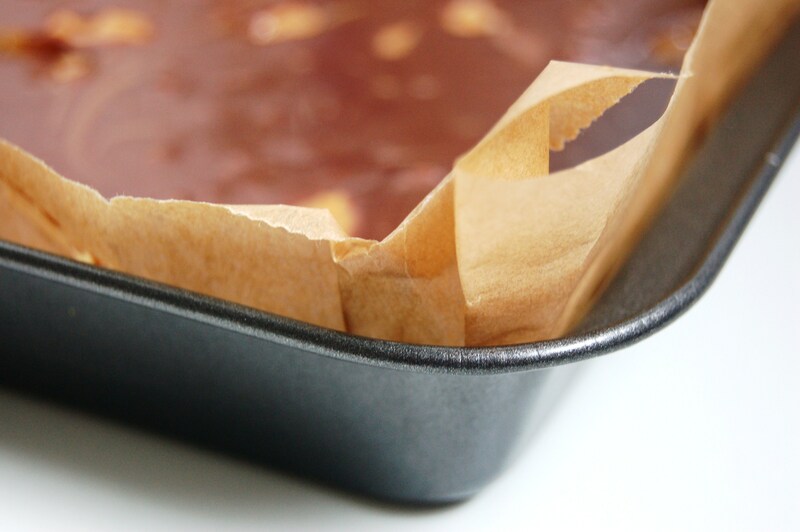 Preheat the oven to 175 C.
Line a baking tin/pan (it’s up to you, I used an 8-inch pan) with greaseproof paper. Make sure it covers the bottom and the sides. Grease the paper with a bit of butter. 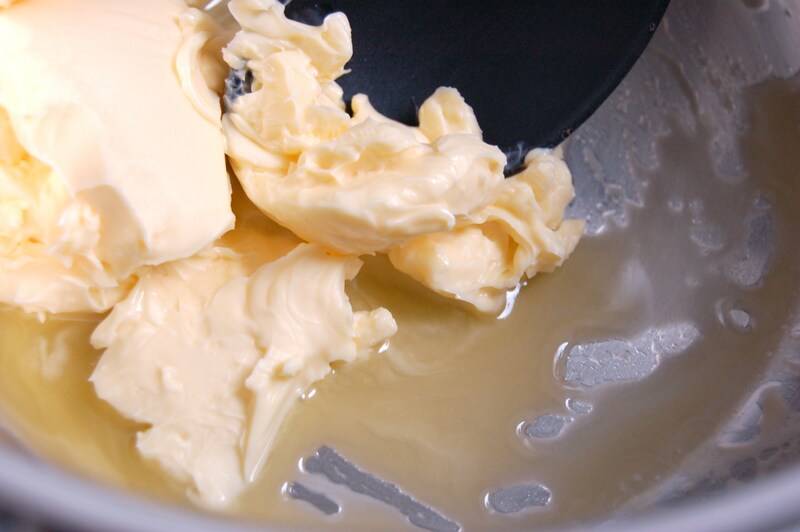 Melt the butter in a saucepan over a low-medium heat. Add the chocolate and stir until the chocolate is melted. Remove from heat and whisk in the cocoa powder. Add in the eggs, sugar, vanilla and flour. Pour half of the batter into the pan. Now you can start having a bit of fun with the dulce de leche! 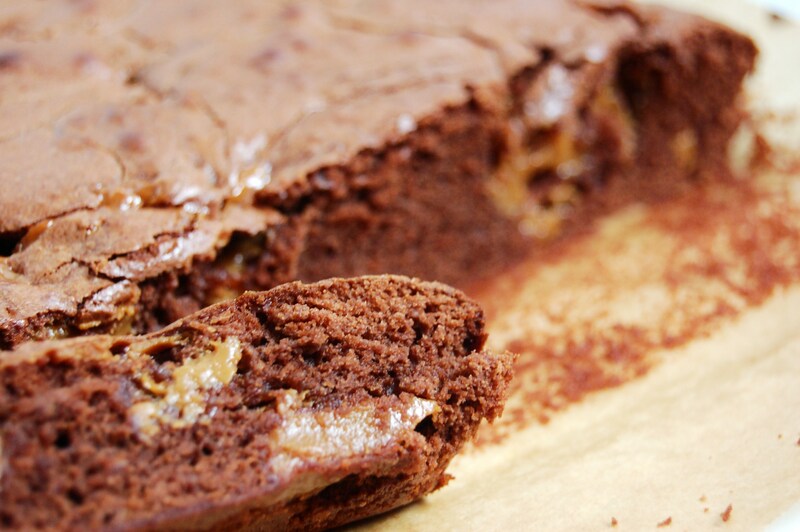 In little pea-sized spoonfulls, dollop roughly a third of the dulce de leche all over the brownie. 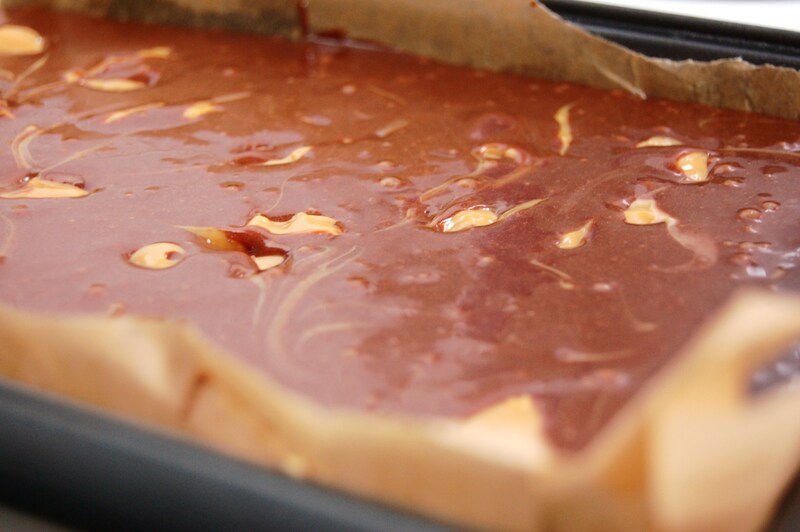 Scrape the rest of the batter on top, and then dollop the remainder of the dulce and swirl with a pallette knife. Bake for 35 to 45 minutes. 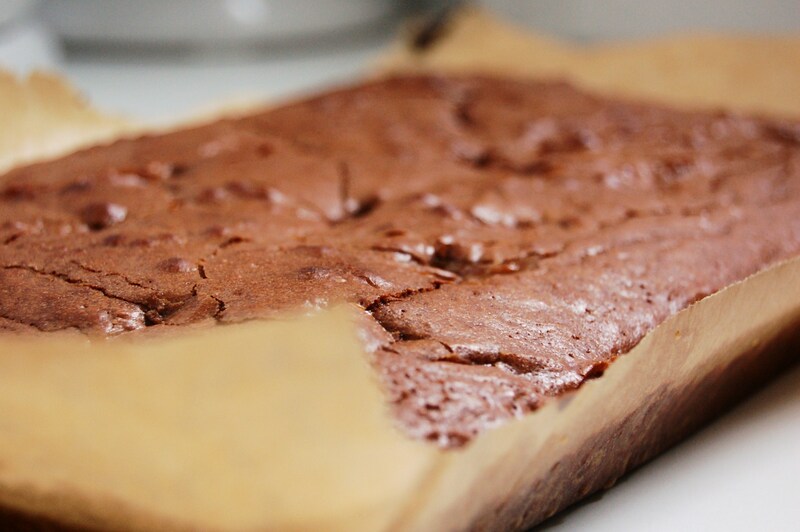 Keep checking to make sure you don’t over bake- remember brownies firm up when cool so I always take them out slightly prematurely. These keep for a few days in the fridge! 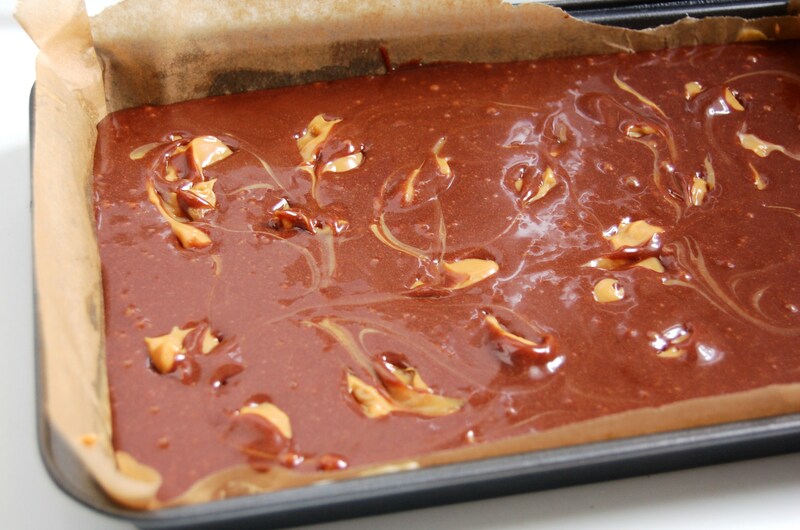 A can of carnation never looked so good… this is what I call a brownie.. looks fab!!! You had me from the title of this post – they sound incredible! I’ve made an adaptation of these. What a fabulous combination. I want some right now! OMG! 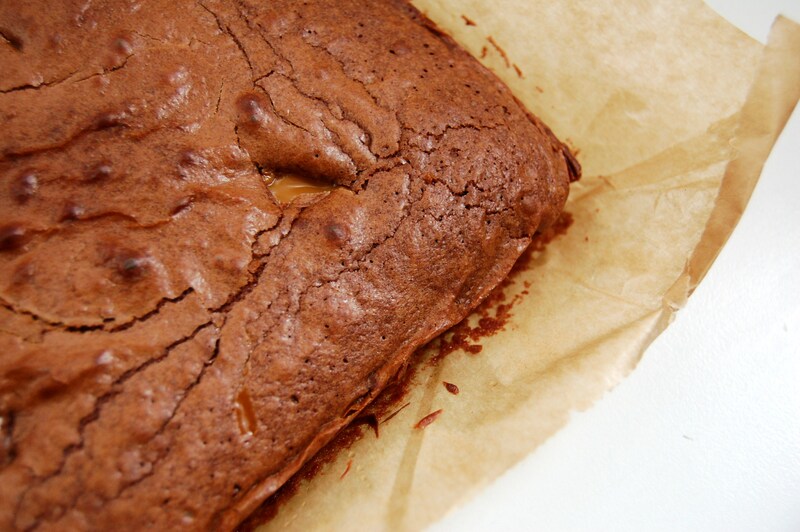 I never thought of putting dulce de leche in brownies! This looks so good. I also just boil cans of condensed milk–it’s the easiest way to do it! Oh my, these look so delicious. I must make these!